It's finally Friday and it’s time for you to take your night to the seas. 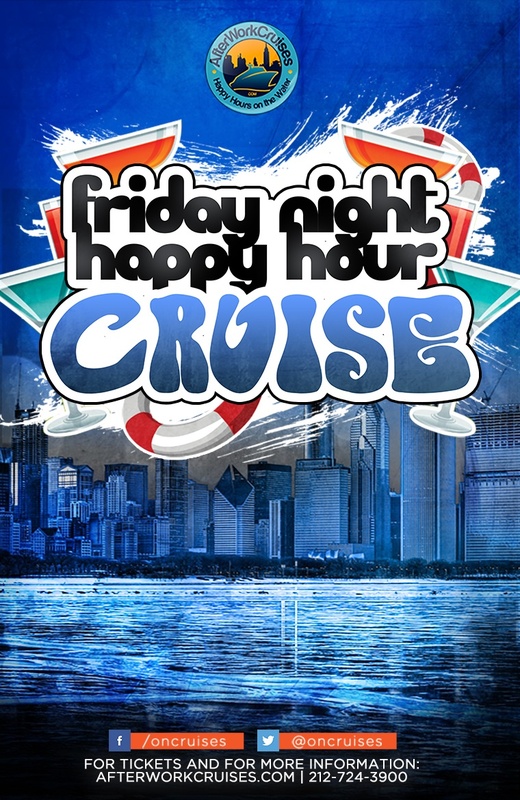 Get the weekend started with our Friday NYC happy hour cruise and party with us this Friday! Skip the typical local spots and try out a new experience for your night out this week. Get ready to set sail through the city and take in the sights with music blasting. Enjoy drinks and the perfect nighttime cruise with friends this week. Check out all the details on our Friday NYC happy hour cruise and get your tickets aboard today! Make your way to the Skyport Marina this Friday and enjoy a night out in the city like you never have. This Friday NYC happy hour cruise will have you sailing aboard a spacious ship as you take in the sights. Sail in comfort and enjoy views of the city skyline and all of its landmarks. Fill your eyes with the wonderful sights and get ready to dance the night away! Our Friday NYC happy hour cruise will have a live DJ onboard mixing up nothing but the hits of the year. Dance into the night with your favorite hits of this year from the charts of Top 40, Hip-Hop, Dance, Pop, and more! Move your body on the dance floor and get ready to sip on your favorite drink as you sail into the weekend. How could this be a happy hour cruise without some drinks? This Friday NYC happy hour cruise will have fully stocked cash bars pouring up all of your favorites. Sip on your favorite drink as you party into the weekend and make the night even better with an open bar package! Where else would you want to get the weekend started in New York City this week? Set sail with us on our Friday NYC happy hour cruise and make your night out one to remember. With views of the Big Apple, music, and drinks being all yours to enjoy, what more could you need! Book your tickets for our Friday NYC happy hour cruise and take happy hour to the seas this week!